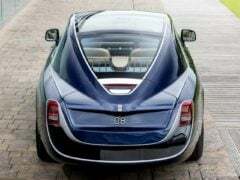 Rolls Royce Sweptail - The Costliest Car in the World! This is the Costliest Car in the World! Ever wondered which is the costliest car in the World? We take a look at the new Rolls Royce Sweptail, which has become the most expensive car money can buy. 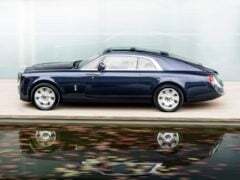 The new Rolls Royce Sweptail is a one-off that has been made on order for an undisclosed customer. The new model was showcased at the Villa d’Este for Concorso d’Eleganza on 27th May, 2017. The new car has a sticker price of $13 Million (Approx Rs 85 Crores), which makes it the costliest car in the World. Essentially, the most expensive car in the World has taken design inspiration from this car’s namesake from the 1920s. The new Sweptail has been designed and manufacturer at the House of Rolls Royce. 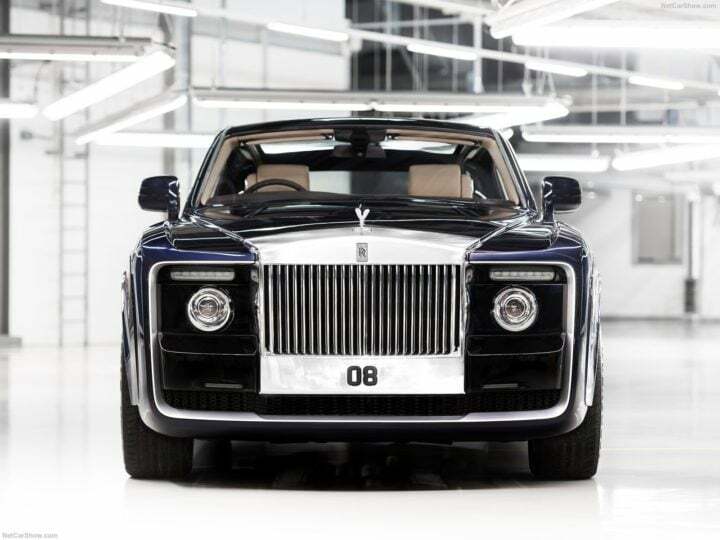 Giles Taylor, the Director of Design at Rolls Royce, worked in close contact of the client for the design of this bespoke. This bespoke from Rolls Royce was under development since 2013 and got finished recently for display at the Villa d’Este for Concorso d’Eleganza. This Roller is believed to be the most expensive car ever built and costs a whopping $13 million, which is approximately Rs 85 Crore in Indian currency. The latest one–off from Rolls Royce gets the same 6.75-litre V12 engine that powers the Phanton Coupe. This engine outputs a max. power of 459 PS and a peak torque of 720 Nm. The engine comes along with 6-speed Automatic transmission. The new car is built on the aluminium spaceframe platform of the Phantom Coupe. The new Sweptail carries all the distinct Rolls Royce design elements. When seen head on, the new car, while looking unique, is quick to establish its identity as a Roller. 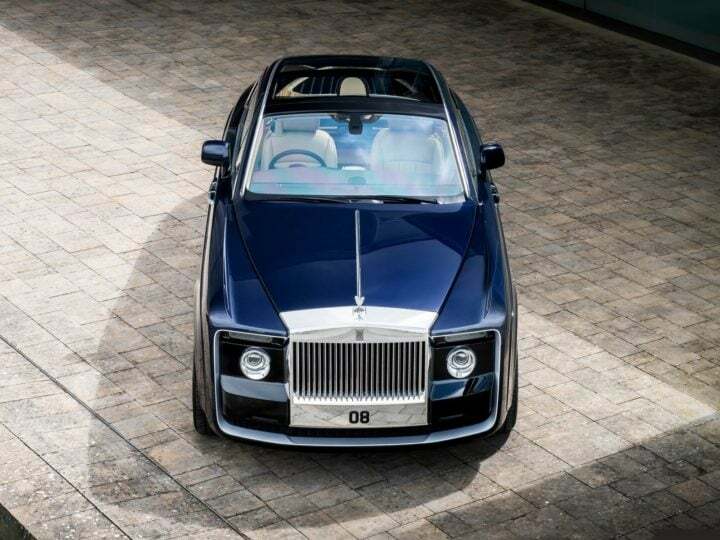 Highlights of the front-end are the confident and solid character of the front profile, which are all positioned around the iconic Rolls-Royce Pantheon grille. This grille is the largest of any modern car from this revered British car marque. A look at the side profile reveals the striking silhouette that defines its unique character. The grandeur of this royal-looking coupé is like none other. Right from the edge of the windscreen, the roofline sweeps backwards towards the rear and even overshoots the boot’s edge to highlight the car’s length. The rear is where you can find a lot of classic touches. The posterior pays homage to the racing yachts that inspired the client. The cleanliness of the surface of ‘Sweptail’ is maintained as the bodywork wraps under the car with no visible boundary to the surfaces, a treatment that is akin to the hull of a yacht. The most remarkable feature is the uninterrupted glass roof, which happens to be one of the largest and most complex ever seen on any car. The Sweptail can carry only two occupants. The very luxurious yet minimalistic interior highlights the touring aspirations through the two-seat GT configuration. The interior feels really airy as windows are vast and the huge panoramic sunroof helps you establish an immediate visual connect with the outside world. The company has been generous with using polished Macassar Ebony and open-pore Paldao to create both a contemporary and a classical contrast. The seats come wrapped in light Moccasin and Dark Spice leathers. Instead the rear seats is a huge expanse of wood that leads to a mid-shelf with an illuminated glass lip. There is also a hat shelf that flows to the edges of the interior. It can be accessed through the rear opening. So, what do you have to say about the costliest car in the world? Do let us know by sharing your thoughts in the comments section below.